The formal lawns slope down to a romantic lake, and there’s a fascinating walk, which kids love, through the Arboretum, Bog Garden and Ice Age Glen with its canopy of ancient oaks leading to the River Slaney. There are picnic areas, and a garden centre with tea-rooms, which host free music sessions on Sunday afternoons in summer. Open 7 days a week, the Gardens are free to visit. 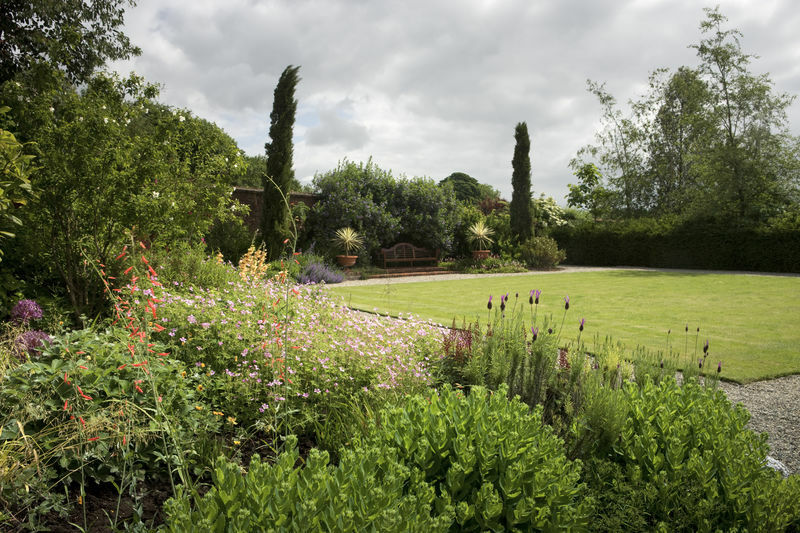 a Walled Garden whose unusual narrow rectangular shape allows you to have a panoramic view of its colourful interior when you enter the garden. Outside the Walled Gardens there are a further 12 acres of grounds to explore. The Fairy Garden, a magical Fairy Garden at the bottom of the Walled Garden in an enchanted glen. See the sprites fluttering in the wind and hear the gushing water fall as you make your way through the glen. Enjoy a Woodland Walk by the shores of Lough Ennell. Belvedere also has 4 Children’s Play Areas that include a 30 metre Zipline and Lakeside Swings in the beautiful, serene and safe surroundings. Open daily and during May until August they stay open until 8.00pm with half price admission to Gardens & Park after 5pm. There’s plenty to explore and enjoy at the wonderful Gardens and world-renowned Arboretum at Fota House, east of Cork city. The Arboretum is filled with treasures from exotic places, beautifully restored glasshouses has fun facts for kids, finishing off with a chance to pot up their own plant to take home and cherish. Digging for History – get stuck in in the beautiful award winning Victorian Working Garden, with a tour through the glasshouse with fun facts for kids, finishing off with a chance to pot up their own plant to take home and cherish, or take away a packet of Fota seeds to plant after their journey home! Little Explorers Trail – A brilliant trail exploring the wonders of the gardens. The Plant Hunters Tree Trail is a free-ranging trail for older families and adults identifying rare and unusual species. Queen Maeve’s Honey Bee Adventure coming soon – A brilliant introduction to our friends, the honey bees! This activity-based talk has junior visitors buzzing around the Frameyard, practising their ‘waggle dance’ and having lots of fun while they discover how a hive works. The Victorian Working Garden is open Monday to Friday 10.30am to 3pm and some Sundays from 1pm to 4pm. Tree Trails for children (age 3-6 and 7-10) Maps from €1 and Tree Trail booklets from €3. Digging for Victory costs €5 per child/€3 per adult and that includes the plant that they will take home. You will enjoy a great day out for all the family at the Irish National Stud & Gardens in Kildare Town. Just off the M7 motorway, the Irish National Stud is home to both wonderful horses and great gardens. 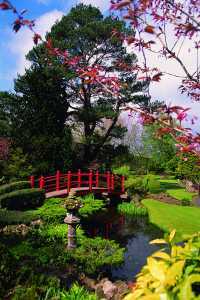 Enjoy the beautiful Japanese Gardens, St Fiachras Garden and Fairy Trail, see the magnificent horses, and tour the Horse Museum. Afterwards let the kids run off some steam at the playground. There are also free pony rides for kids during school holidays on selected days. 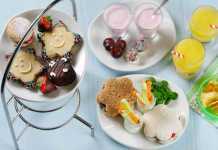 Open daily 9.00am to 6.00pm. A treat lies in store for children at the beautiful Johnstown Castle which is undergoing restoration and will open to the public in 2019 with a new visitor centre and a restored underground servants’ tunnel. In the meantime there is plenty to enjoy on this wonderful property. 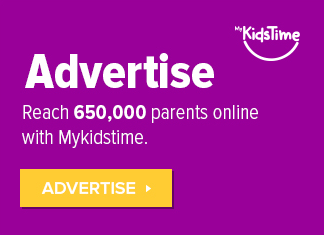 See if your children can spot the gargoyles on the 19th century castle! 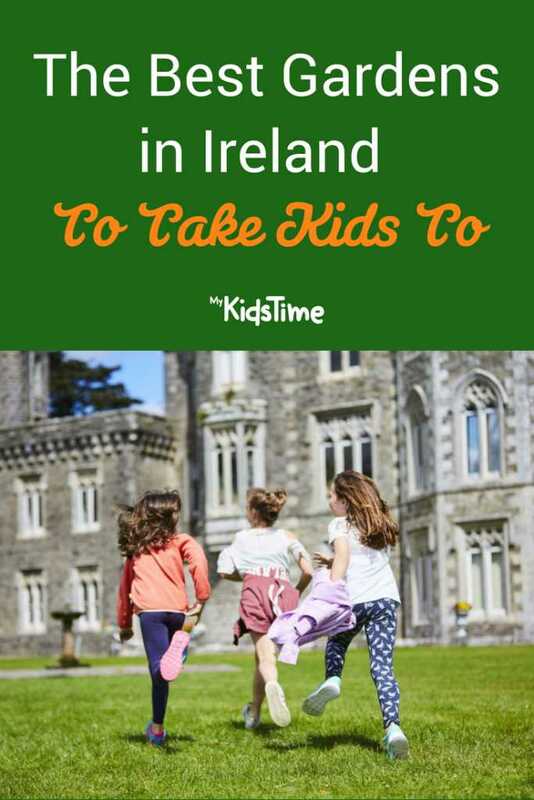 Wander through the spectacular ornamental grounds and gardens surrounding Johnstown Castle with over 200 varieties of trees and shrubs or enjoy a picnic by the castle lakeside with its Gothic towers, waterfalls and statues where children will be fascinated by the swans and their cygnets. Peacocks roam freely and display their finery in the courtyard of the Agricultural Museum where you can also enjoy an ice cream. Open daily 9am-6.30pm during July & August, til 5.30pm spring/autumn months and 4.30pm Nov-Feb. Entry to the gardens costs €3 for adults and €1 for children, €8 for a family. The now restored garden at Strokestown Park appears to have been frozen in time with period details such as the croquet lawn still in place and in use. The pond is one of the oldest features in the garden dating back to 1780. It is now planted with water lilies and Canadian pond weed. Just outside the Walled Gardens you’ll find the Woodland Walk which is open to the public free of charge. 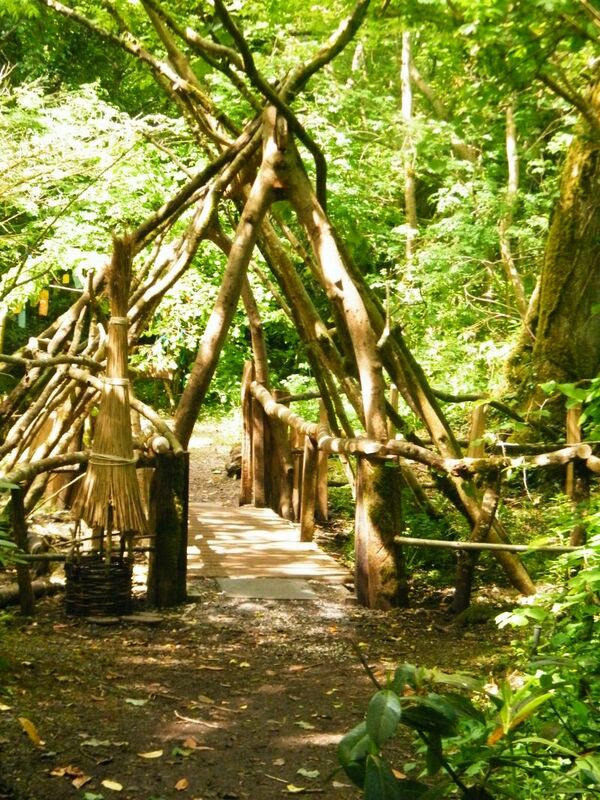 Throughout the summer, there’s plenty of opportunity for children to roam in the Sculpture & Woodland walks, hide in the alcoves, play at the Troll Bridge or make a wish at the Wishing Tree – a fabulous way to spend an afternoon with the family. The gardens are open daily. Adult entry into House and Garden costs €13.50, OAP/Students €12, Children €6 and there’s a family ticket €28.00 for 2 adults and 4 children. The woodlands are free to visit. Mum Michelle loves Brigit’s Garden in Galway: “it’s a magical place, the kids love it”. Brigit’s Garden takes you on a magical journey into the heart of Celtic heritage and mythology, making it one of the truly outstanding places to visit in the West of Ireland. The award-winning Celtic Gardens are widely regarded as one of the most spectacular in Ireland, set within 11 acres of native woodland & wildflower meadows. In addition to the Celtic Gardens visitors can enjoy the nature trail, an ancient ring fort (fairy fort), thatched roundhouse and crannog, and the calendar sundial, the largest in Ireland. 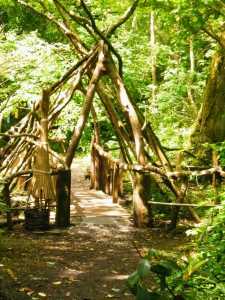 Brigit’s Garden is very family-friendly with a kids’ discovery trail, a natural playground, café and lots of opportunity to explore. Open daily March – October 10am-5.30pm, November and December 10am – 5pm, closed 24 Dec – 31 Jan.
Family tickets are €24 for 2 adults and 2 children, April-Sept and €18.50 Oct-Mar. 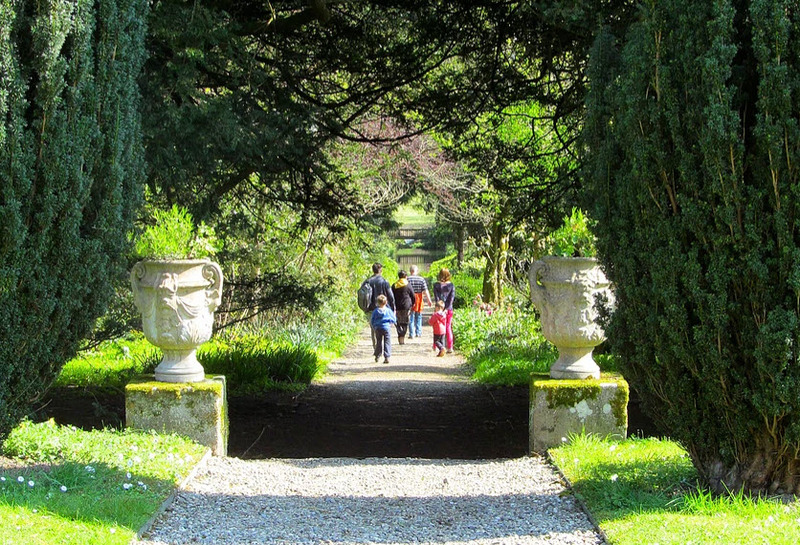 Lorraine says her family loves to visit Emo Court House Gardens in Laois. There are beautiful gardens and parklands, first laid out in the 18th century, containing formal lawns and a lake. Walks through the woodland are a popular way to explore the beautiful grounds. At the front of the house the Wellingtonia Avenue runs for 1 mile, lined with large trees while behind the house, the arboretum covers approximately 20 acres. Here you’ll find grass pathways meandering through trees and statues too; see if you can find the statue of The Huntsman and His Dog in the area known as “the Clucker”. There’s also a very old lime tree avenue that predates Emo Court and a yew walk too. The Gardens are open all year, daily, during daylight hours. Entry to the Gardens is free. Anna loves the gardens in Huntington Castle in Carlow. Originally laid out back in the 1680’s with formal gardens, there’s also a French lime Avenue planted in 1680 as well as their world-famous yew walk thought to be over 500 years old! You will find water features such as stew ponds and an ornamental lake as well as plenty to see in the greenhouse and lots of unusual and exotic plants and shrubs. There’s also a kids adventure playground to visit. The gardens are open daily May – September 10.00 to 5.00 pm. NB No picnics and no dogs allowed on the grounds. 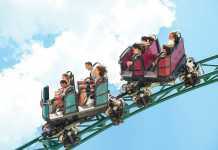 Tickets cost €5 per adult and €2.50 per child (this includes entry to the adventure playground). The beautiful formal gardens of the Royal Hospital Kilmainham are free of charge and open during Museum hours. There are two downloadable maps on the IMMA website detailing the plants, flowers and trees that can be found near the museum. And you can also pick up your free IMMA Explorer Family Activity Pack at reception, it’s custom-made to engage children in exploring IMMA’s galleries and gardens with their parents/guardians. Each pack includes an outdoor art trail, and an activity booklet, as well as a pack of colouring pencils and a sticker. 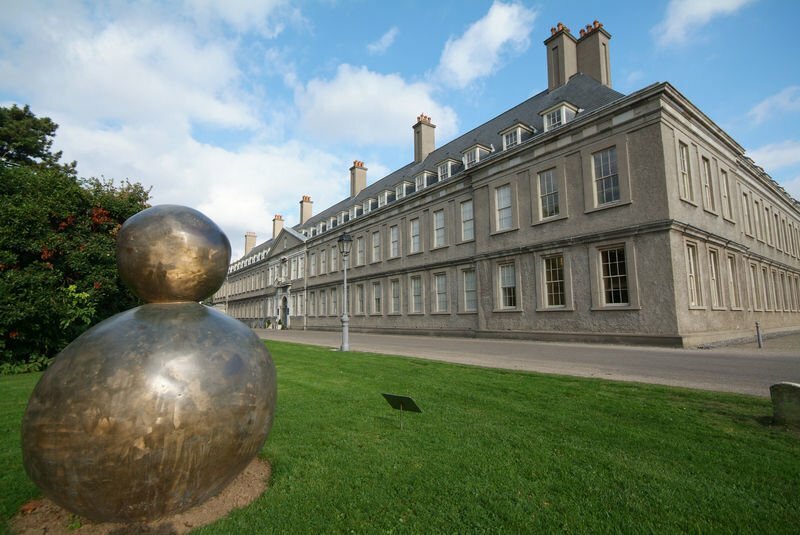 The outdoor art trail shows a map of the location of artworks in the grounds of IMMA. Opening hours – Monday: Closed, Tuesday – Friday 11.30am – 5.30pm, Saturday: 10.00am – 5.30pm, Sunday: 12noon – 5.30pm. The Gardens and IMMA are free to visit. 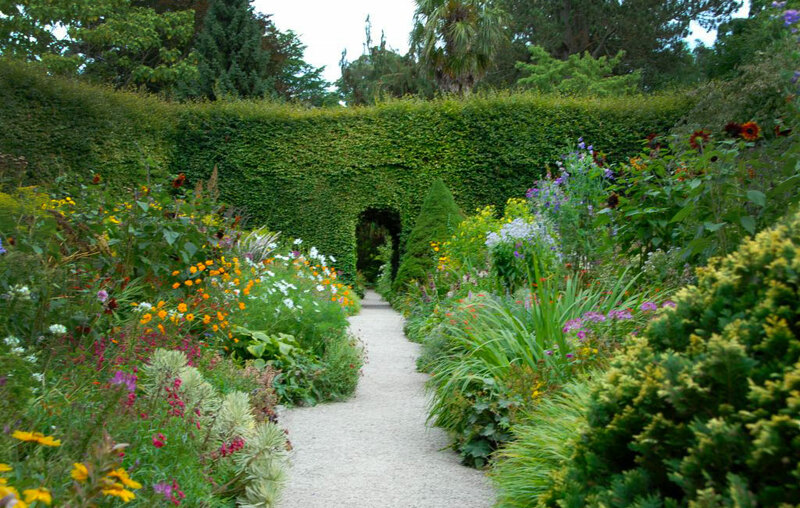 The gardens at Mount Congreve, Waterford, consist of around seventy acres of intensively planted woodland garden and a four acre walled garden. Open every day for the summer, 11 am to 5.30 pm. Last entry to the gardens at 4.30pm. Entry is €6 for adults, €5 for Student/OAP/12-16yrs, kids under 12 go free and a family ticket for 2 adults + 2 teens is €20. NB no dogs other than registered guide dogs are allowed in the gardens. There’s also a café and garden shop. Mount Stewart, recently voted in the top ten gardens in the world, is one of the most spectacular and idiosyncratic gardens of Western Europe. 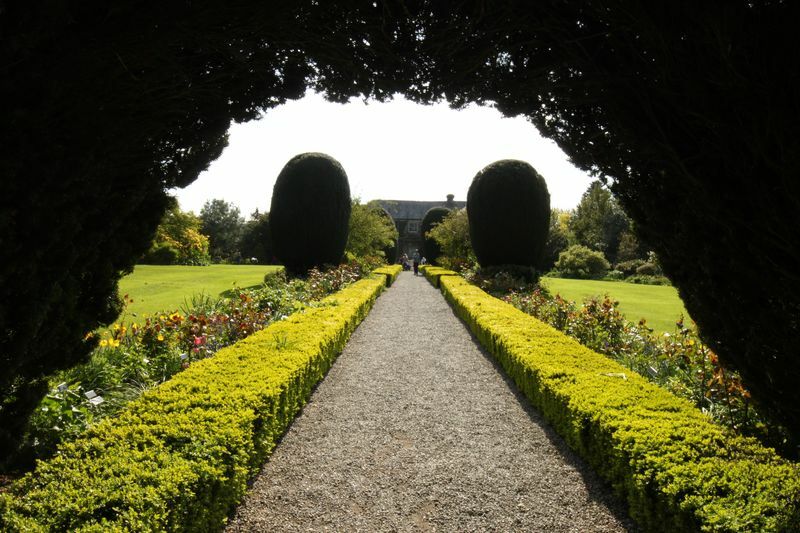 There are a number of gardens to explore including the Sunk Garden, The Shamrock Garden with topiary inspired by Irish mythology, The Italian Garden and The Dodo Terrace, The Spanish Garden surrounded by Cypress hedges and The Mairi Garden and fountain. 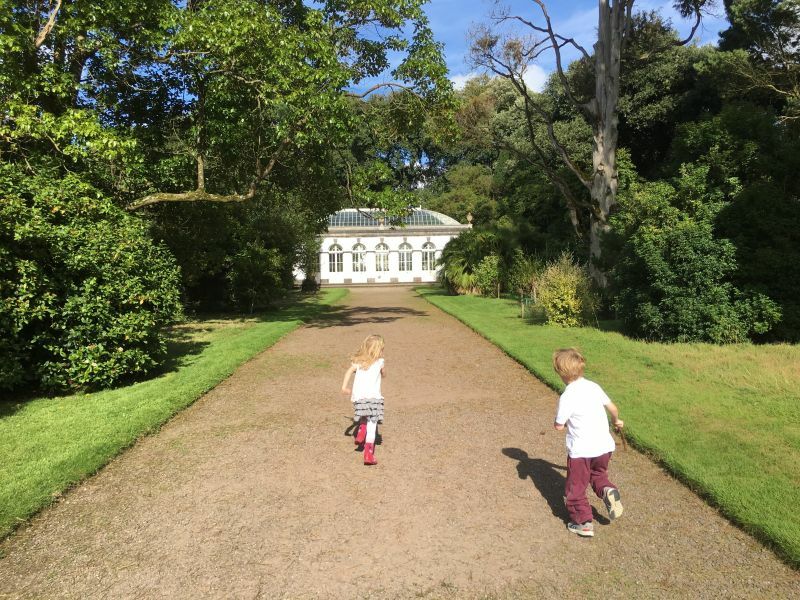 There are lots of things for families with kids to see and do at Mount Stewart. Kids can explore the Natural Play Area themed around the journeys, adventures and creatures found in ‘The Magic Ink Pot’, unique to Mount Stewart. Tracker packs are available to borrow from the reception desk, with Mount Stewart themed activities in a small backpack easy to transport from one part of the garden to the next. The ark in the Italian garden at Mount Stewart is full of some very strange and exotic animals. 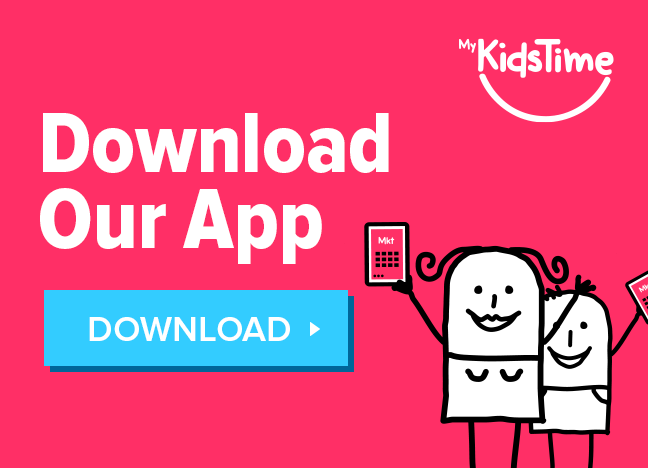 You can download an activity sheet and see if you can track down all the animals. 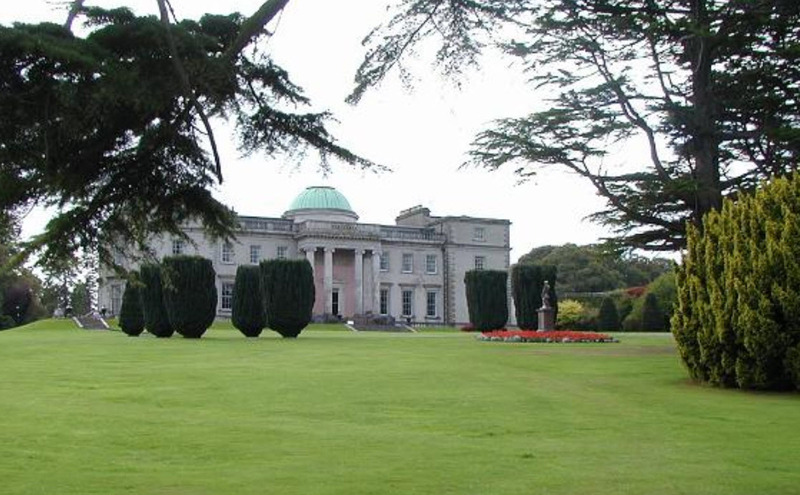 Emily recommended Mount Usher near Ashford, just 35 mins south of Dublin. It’s one of Monty Don’s favourite gardens and a fine example of an authentic ‘Robinsonian’ style garden combining a distinguished collection of trees and shrubs with informal floral planting schemes in a sheltered valley setting. You can pick up a detailed tree trail guide to help you locate the many ‘show-stoppers’ as you wander around. There’s also Avoca Garden Café and Courtyard Shops to enjoy after the gardens. The car park can get very busy at peak times, but there is additional parking in the village a short walking distance away. The Gardens are open daily from 10 am until 6 pm. 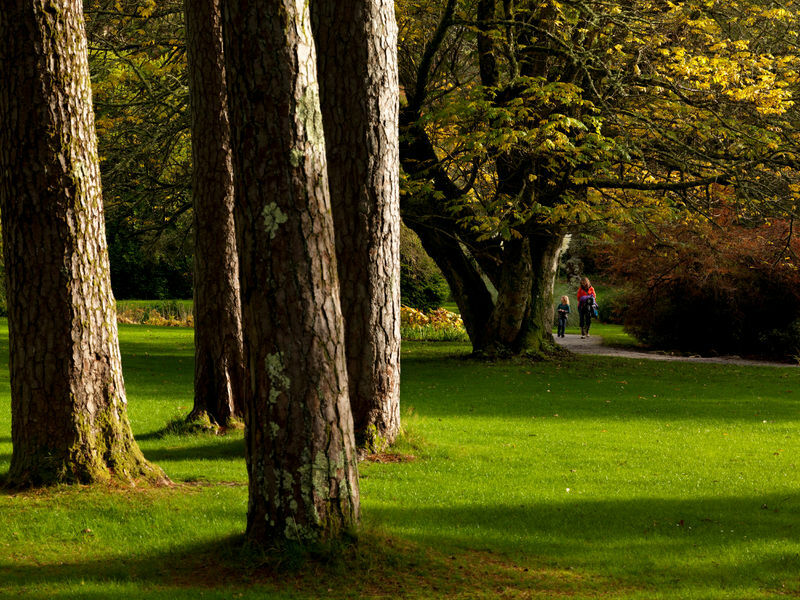 The Gardens at Muckross House near Killarney are renowned world-wide for their beauty. In particular they are noted for their fine collections of azaleas and rhododendrons which bloom May through July. You’ll also find a water garden, and an unusual rock garden hewn out of natural limestone. In the arboretum you will find many trees from the Southern Hemisphere, and the Walled Garden Centre, opening onto the Victoria walled garden, is also worth a visit. 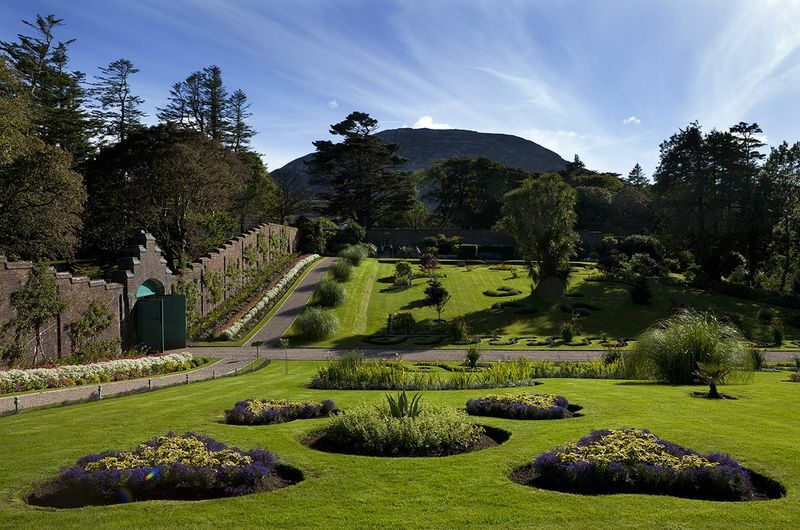 Muckross House Gardens are open daily all year round and are free to visit. 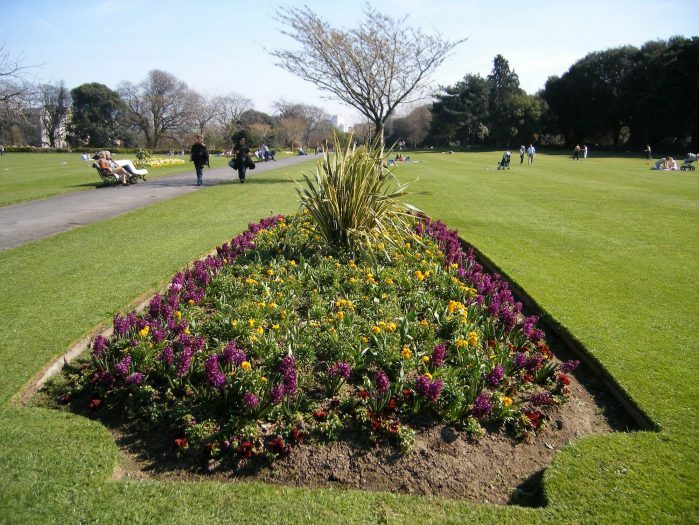 Trish says they often visit the National Botanic Gardens in Dublin. 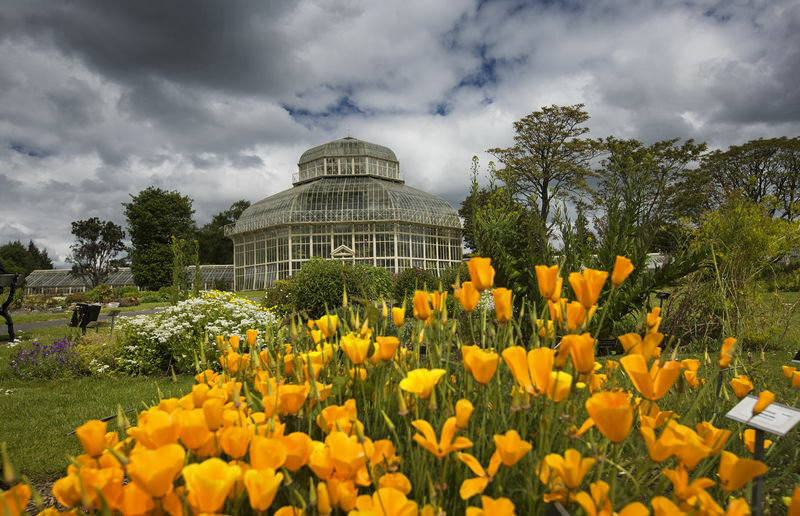 The Botanic Gardens in Dublin are located in Glasnevin, just three kilometres from Dublin City Centre. As well as enjoying the Gardens and the Glasshouses, the National Botanic Gardens run Drop-By Activities for kids on Sundays, where they can enjoy fun activities in the dedicated Children’s Garden. They will be able to sow seeds, make seed bombs, design bug hotels and re-use everyday items to create your own piece of eco art. Drop in activities take place at 11.00am, 11.30am, 3.00pm, 3.30pm. No Bookings, it’s first come, first served. All children must bring their own grown-up. The Gardens are open every day throughout the year, except Christmas Day. There is no admission fee to walk and explore. Open daily during summer months 9 am – 5 pm, in winter months until 4.30pm. 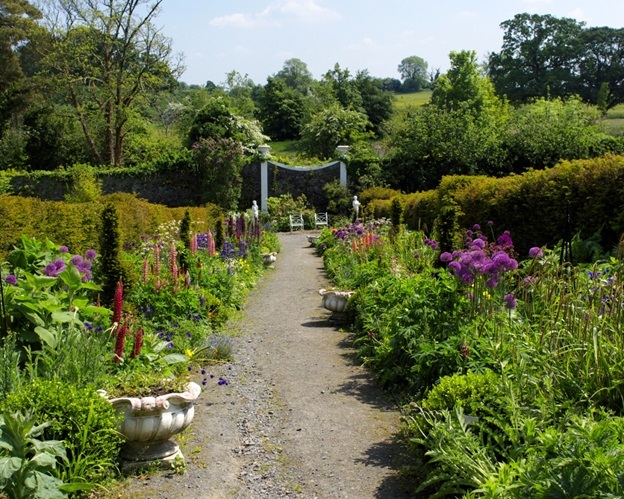 At Newtownbarry Gardens in Bunclody you’ll find beautiful gardens including a rose garden in what was previously a tennis court, a lake which was destroyed one winter and restored and rebuilt, a Sunken Garden with features including a pond and beautiful stone grotto arches. You can also enjoy walks through the woodlands to the nearby River Slaney with views of the Blackstairs Mountains. There’s also a Farm Cafe, Gallery & Craft Shop. Open Tues-Sun 12-6pm June, July & August 2018 & on all Bank Holidays. 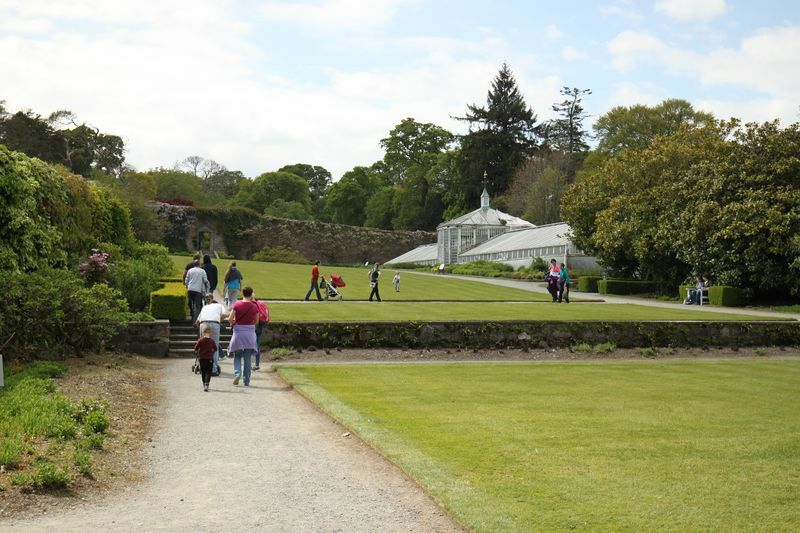 Garden visits cost €4 for adults, €3 OAP’s and students with children under 12 years entering FREE. You might also enjoy reading Amazing Mazes In Ireland to Puzzle Your Way In and Out Of! Zoe tipped us off to Oakfield Park at Raphoe in Donegal where you’ll enjoy exploring the grounds which have a wide variety of attractions from walled gardens to ponds, lakes, a lakeside Nymphaeum, a hedge maze, heritage trees and sculptures. Sitting in a lush landscape of parklands and mature woodlands, overlooking the distant Croaghan Mountain, the grounds include a traditional walled garden and kitchen garden. The lower gardens consist of a large lake, planted with reeds and wild flowers. This is now home to swans and abundant wildlife. A Castle Folly built on the opposite shore provides stunning views. Flower meadows, lakes and streams, as well as wild and wetland areas are entwined with over 4km of narrow guage railway to give hours of pleasure. Discover willow tunnels, oak circles, boardwalks, several heritage trees, a par-terre and classical Nymphaeum by the upper lake. Children will enjoy making a wish at Oakfield Park’s Faerie tree as well as the 4.5km narrow gauge railway with a diesel and steam train operating passenger trips daily. There are also tea rooms, and picnic facilities. There are 2 lovely garden spaces to visit within Phoenix Park: The People’s Gardens and the Victorian Walled Kitchen Garden at Ashtown Castle. The Victorian People’s Flower Gardens which opened in 1864 covers twenty-two acres with a large ornamental lake, children’s playground, picnic areas and Victorian bedding schemes. The Gardens are open daily, in summer months until 9pm. Admission is free. 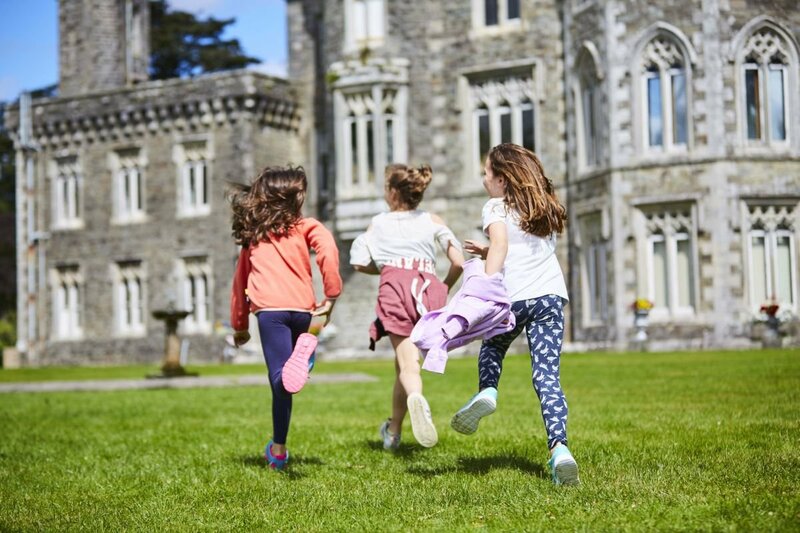 At Ashtown Castle and Demesne, you’ll find the two and half acre Victorian Kitchen Walled Garden, the Phoenix Park Visitor Centre, the Phoenix Café, toilets, car parking, woodland walks, picnic areas and a universal access playground. These beautifully maintained gardens are well worth a look and on the second Saturday of each month at 10.30 am the gardeners give a talk to the public. You’ll find fruit, vegetables and flowers, with colourful summer displays such as Sweet Pea, Chrysanthemums, Lupins and Campanula (Bellflower). The Victorian Kitchen Walled Garden is open to the public daily from 10am – 4pm and admission is also free. Tina recommended the Victorian Walled Garden at Kylemore Abbey in Connemara, County Galway. The Victorian Walled Garden once boasted 21 heated glass houses and a workforce of 40 gardeners and was one of the last walled gardens built during the Victorian period in Ireland. At the time it was so advanced that it was compared in magnificence with Kew Gardens in London. Comprising of roughly 6 acres, the Garden is divided in two by a beautiful mountain stream. The eastern half includes the formal flower garden, glass houses, the head gardener’s house and the garden bothy. The western part of the garden includes the vegetable garden, herbaceous border, fruit trees, a rockery and herb garden. The Garden is open 9.00 am to 6.00 pm and there’s a café, teahouse and craft/design shop. Adults €11.70, Student €8.10, Senior €9.00, Family ticket for 2 Adults & 1-6 Children aged 10 years and under costs €23.40. 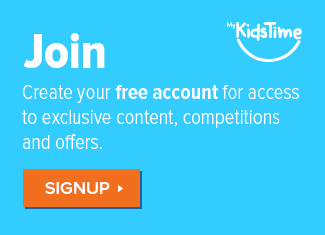 Kids under 10 go free. Over to you now. Do you have a favourite garden that the kids love that we should add to our list of the best gardens in Ireland? Tell us in the comments below. Previous articleSPF, UVA, UVB…Do You Know What To Look For In Sunscreen?